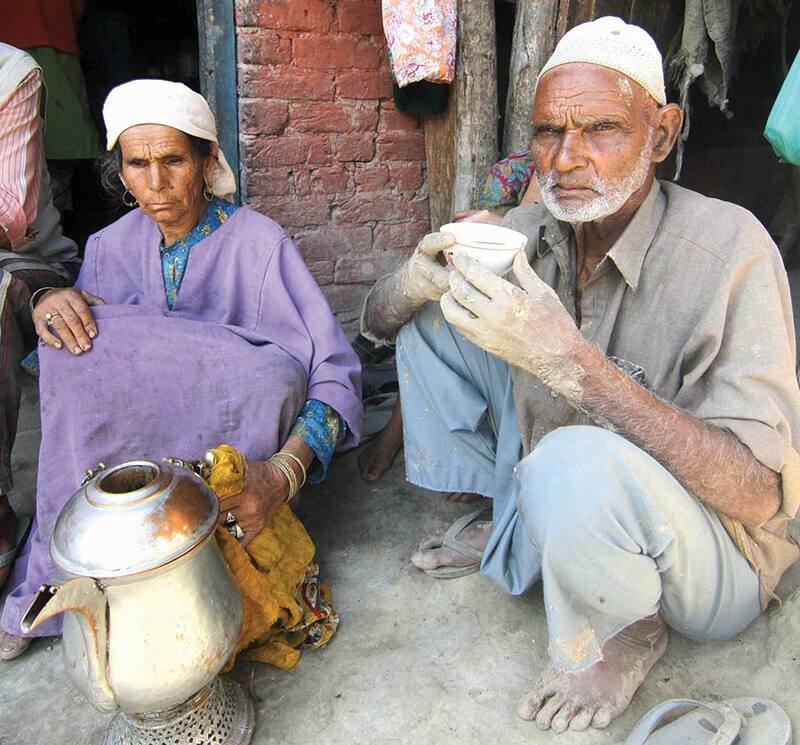 At the end of ten-day long honeymoon in ‘dreamland’ Kashmir, Khalid and his wife, both residents of Bijnore in Uttar Pradesh, decided to do some shopping on their final day in Srinagar. They were joined by Riyaz, a resident of Islamabad, who studied with him in Aligarh Muslim University (AMU), a decade back. After three-hour long shopping spree in Lal Chowk, where Riyaz saw Khalid observing every face keenly, they went to a local restaurant for lunch. At the restaurant, on Riyaz’s recommendation, Khalid and his wife ordered a few local delicacies, especially famed Tabak Maaz (a recipe of fried lamb ribs). Throughout the lunch, Khalid kept looking around, scanning faces around him: first the waiter’s, then the owner’s, who sat behind the cash counter, then he moved his eyes from one table to another as if looking for something. “What are you looking for,” asked Riyaz, his Kashmiri friend, out of curiosity. Riyaz, who stayed mostly in Kashmir after finishing his studies some ten-years back, looked at his friend with a surprised look on his face. Instead of replying to Khalid’s unique query, Riyaz started looking around, trying to scan people around him. To his surprise, there was not a single smiling face inside the small restaurant. That is what contemporary Kashmir is. A study by Medicine Sans Frontiers (MSF) in May 2016, said one out of two persons in Kashmir is mentally disturbed. That makes half of the population in Kashmir. Hailed as first comprehensive mental health survey in Kashmir, it reveals that nearly 1.8 million adults (45 percent of the entire adult population) suffer from mental distress. Out of this population, a majority have experienced or witnessed conflict-related trauma. Sitting at a corner of his spacious drawing room, with a heap of local daily English newspapers in front of him, Abdul Hameed Sheikh, 62, is lost in his thoughts as he sips tea. There is visible sadness on his face. He has not been able to sleep properly since last few months. “How can I sleep in peace when you have newspaper front-pages full of blood every single day,” he said in a melancholic tone. Sheikh recalls how he and his friends used to wait eagerly for hours outside Regal Cinema to get a ticket. “We would go home at mid-night at times. There was nothing to fear unlike today,” he said. And to kill time until the show would start, he and his friends use to take a stroll around Lal Chowk, or visit any roadside eateries for a quick bite of barbeques, or simply sit together at a public park and gossip. Without a care in the world, at half-past midnight, Sheikh and his friends started towards Srinagar in a borrowed car. “There was no fear at all. There were no garrisons on way to Srinagar then, where you fear being stopped,” said Sheikh. Once the militancy broke out in 1989, the roads that Sheikh and his friends used to travel freely got deserted and barricaded. There was chaos everywhere as death became a permanent fixture of newspaper front pages. All of a sudden Kashmir’s lingo found words like depression, post-traumatic stress disorder, firing, crackdown, killings, mysterious killings, gunmen, torture, widows, half-widows, custodial deaths etc. As a result fear took over every sphere of life and people preferred to stay indoors. After darkness venturing outside ones home meant inviting trouble. There were instances when people visiting the hospital during late hours were stopped, beaten, and sent back. Almost every cinema hall soon started to reverberate, not with whistles of movie-goers and loud music, but with the cries of young boys who were tortured inside. They were now garrisons with torture chambers. An entire generation, including the one Sheikh belongs to, was pushed to the wall as guns started to rule across Kashmir. “In such an overwhelming situation how could anyone expect us to smile,” asks Dr Aziz. Looking sadly at the morning newspaper where a bold headline in red read: Batmurran Encounter, Two militants and a lady killed. What pained Sheikh was a picture of a less than year-old baby girl Azra, who was sucking on a milk-feeder, looking directly into the camera’s lens, unaware that her young mother was killed by a stray-bullet just a while ago. This picture broke Sheikh’s heart instantly. “You need absolute courage to witness such heartbreaking picture in the morning and go about your routine,” said Sheikh.